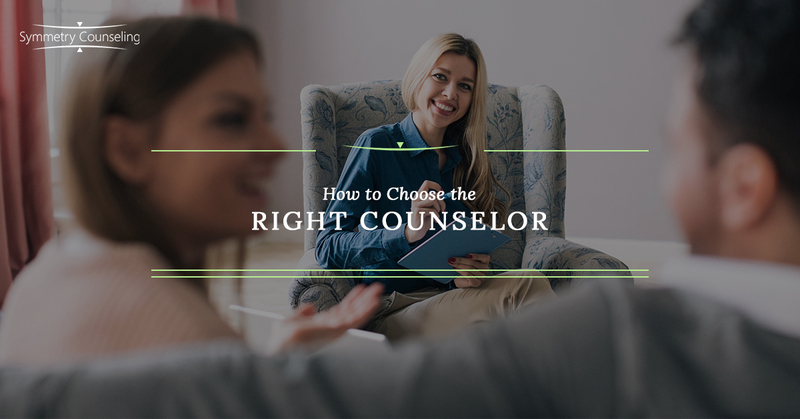 Being able to find the right counselor for anyone can be really difficult. It is just like finding a doctor or dentist that you like, but with your therapist, you have to feel comfortable with them due to the amount of information you will be divulging to them. It is difficult to open up to anyone and even more to a stranger. Feeling comfortable in having the right therapist is key. In this blog post, I will encourage you to ask yourself a few questions when searching for a therapist. This post will be able to help you identify what type of therapist would work best for you and able to have a strong therapeutic relationship. 1. Why are you going in for therapy? Asking yourself why are you seeking support? Are you feeling anxious? Are you feeling depressed? Are you feeling lonely? Are you feeling overwhelmed? Are you feeling stressed? Are you just looking for someone to talk to? Do you feel like you listen to everyone else and no one listens to you? If you feel like you need medications or sometimes maybe more intensive, seeking support from a psychiatrist would be ideal. Your therapist would be able to provide you referrals for a psychiatrist in your area. 2. Look for a strong connection. Therapy can sometimes be expensive (especially without insurance) and you do not want to go to a series of therapists before finding a good fit. After doing research, call your therapist and try to get a phone consultation to find out about the therapist and what their therapeutic style is like. Most of the time, phone consultations are free and that can be helpful to you. 3. Treat your first appointment like a date. With technology now, being able to look up information about your therapist is fairly easy. When you find someone you like, do some research to see if there are any reviews or any other information you can find about your therapist. As stated in the previous point, see if you can get your therapist on the phone to do a phone consult. 4. Look for a therapist who is affordable. Therapy is expensive and making sure that you are not paying an arm and a leg to pay for it is necessary. Recognizing that you need help is huge, but then sometimes we tend to push therapy away due to the cost. Call your insurance company and make sure that Behavioral Health is covered in your plan. Then looking for therapists online that accept your insurance and contacting them. All therapists will verify benefits to assure that you do not have to pay out of pocket. Some therapists also engage in self-pay and provide a sliding scale. Talk to the therapist and see what options they have for you. Just like when you are trying to find a doctor or dentist, you normally ask your friends and family to see who they are going to. See if your friends or family are going to therapy and see how they like their therapist. Asking your friends or family to ask their therapist for a referral list. When researching for a therapist, a photo can tell 1,000 words. Looking at their website bio and photos can be helpful in seeing if their photo matches someone that you would feel comfortable in speaking with. If you are looking for a therapist, feel free to look at Our Counselors page on Symmetry Counseling’s website. Feel free to reach out to our therapists for a FREE 20-minute consultation to get to know them better.